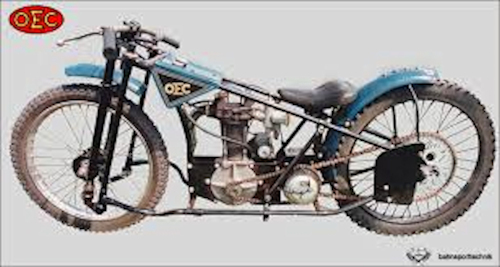 I believe OEC was an English engineer/bike maker. I understand OEC stands for Osborne Engineering Company, correct me if I am wrong about this John The above picture shows a great restoration of an old British machine. The engine looks powerful so why couldn't OEC compete with the OEC era's all conquering JAP? Tony thinks this bike may have been used in the Netherlands but little is known about it. The bike wouldn't get very far as the rear chain is missing! 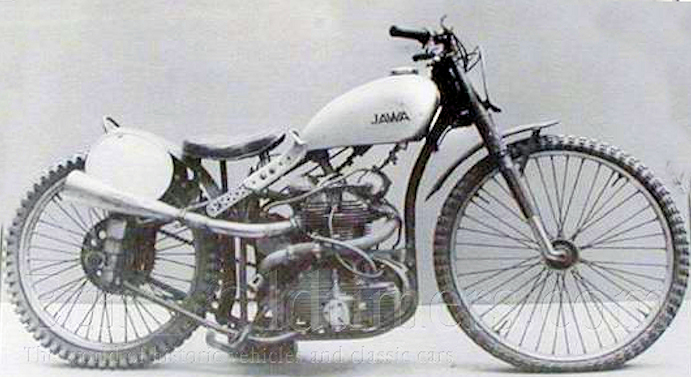 John says: It is possibly a JAP long track machine. I don't know anything about this bike so do you recognise it? 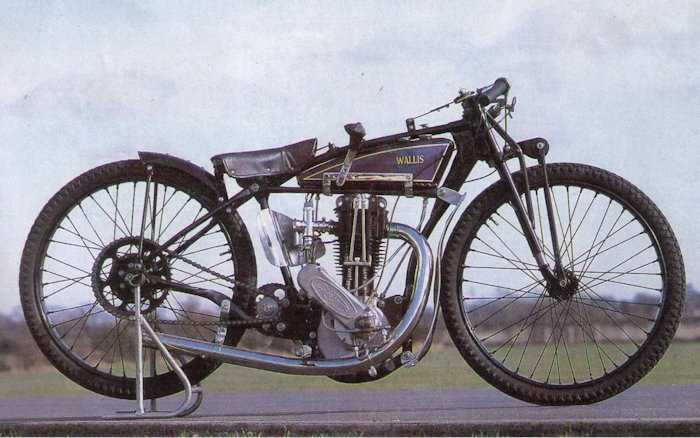 Skilton Rudge 1936. 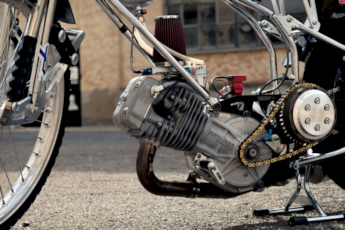 Note plunger on oil pump and down draught on carb. 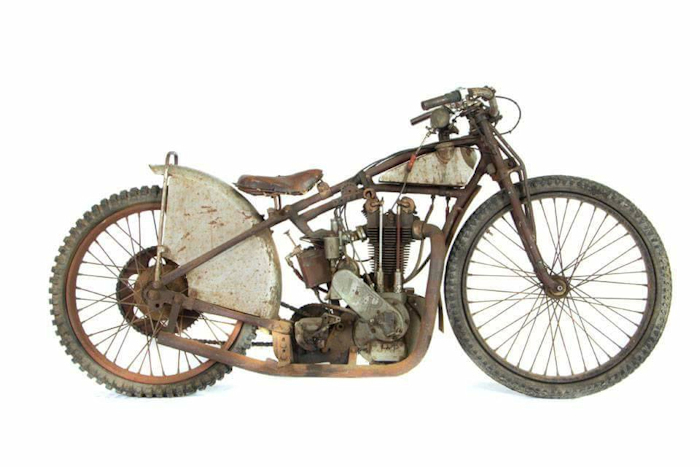 Vintage collectors do not see a rusty old bike they would say it's "patina" is attractive and I agree sometimes but love to see old bike restorations too! This bike is a little different from the norm! The rear chain looks lonely! 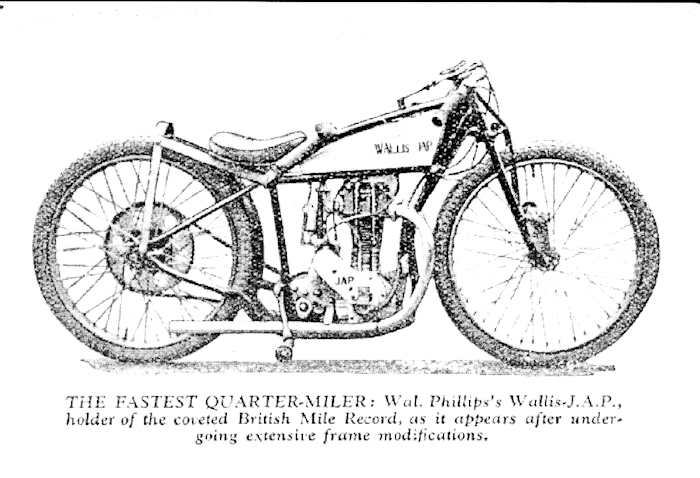 I suspect the primary chain will be on the other side, quite unusual Mr Wallis! Tony Webb says: Charlie Ogden was one of the most respected engine tuners in Australia. 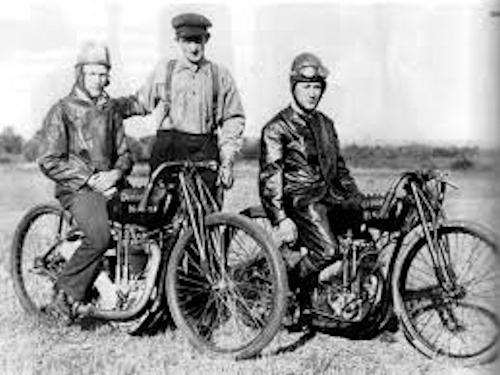 The riders either side of Charlie are John Patman and Bobby Blake , the photo is believed to have been taken at Moore Park in Sydney. "The Comerford Wallis with direct drive 1932 Photo Giffy". John says: a JAP" with "Skinny" tyres. 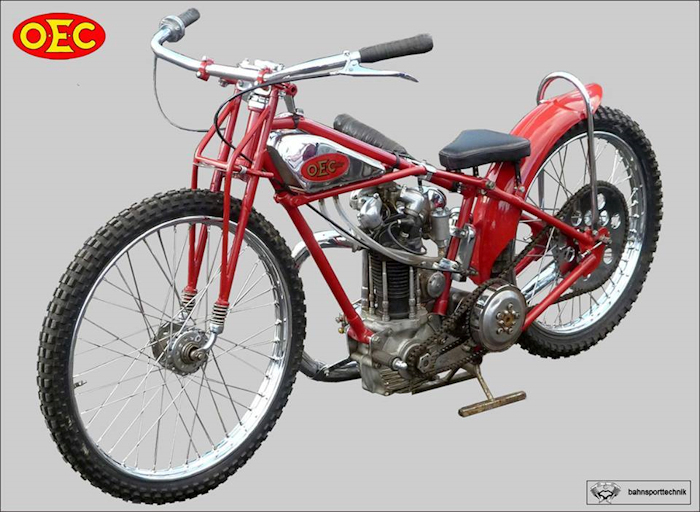 I don't understand the term "Direct Drive" I think all speedway bikes are direct drive via a chain from the engine sprocket to the rear wheel sprocket via the clutch. They don't have gearboxes! I will email giffy in NZ for his advice as maybe I am missing something here? John says: Hi giffy, Thank you for the tech info. As a Magpies fan you must be happy that the "Toon" have been promoted to the Premiership 2017 as I am too, "Howay the lads" let us pray the team can attract top players with a 100 million player fund pot. Problem is other teams are paying nearly that for just a couple of players. 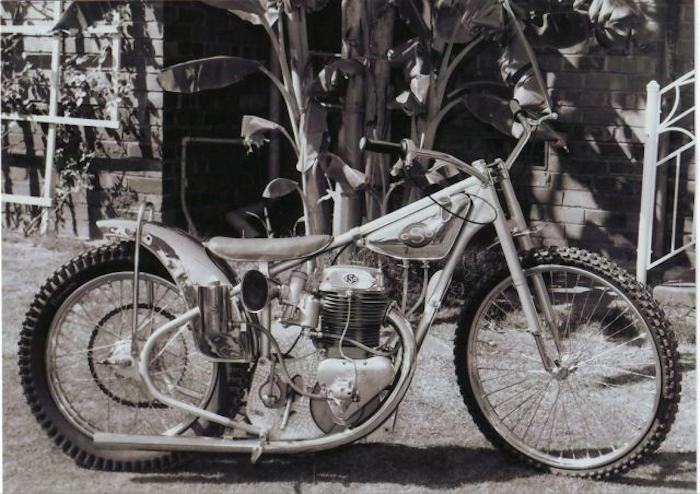 John says: Thanks giffy The most beautiful speedway bike ever made in my opinion. 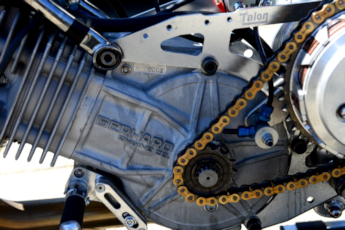 The mighty JAP engine housed in the Rotrax frame. 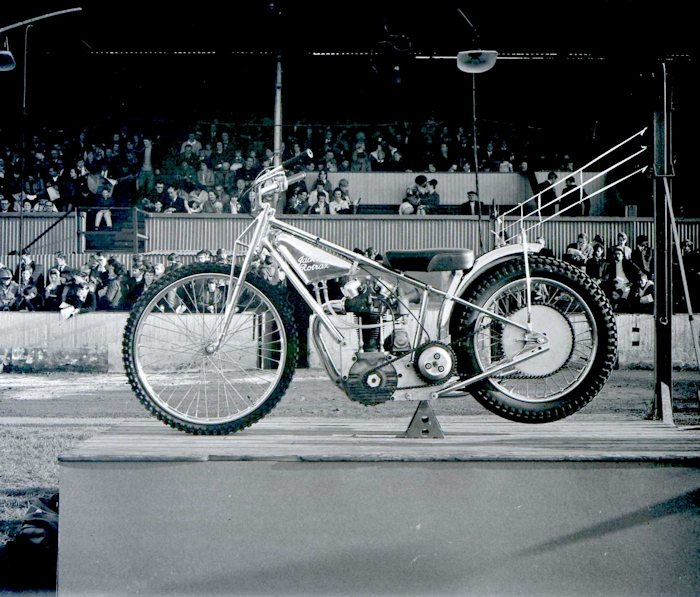 The Rotrax was first prize at the Scottish Championship 1966 at Old Meadowbank 28th May 1966. The bike was brand new hence the solid rear sprocket. Riders drilled out the socket to lighten the weight slightly. I wish I had one to start up on sunday mornings to annoy my neighbours! Another great looking machine. This Eso was the first to be imported into Australia sometime around 1960. The ESO had a shorter stroke engine and needed far less work than the JAP. 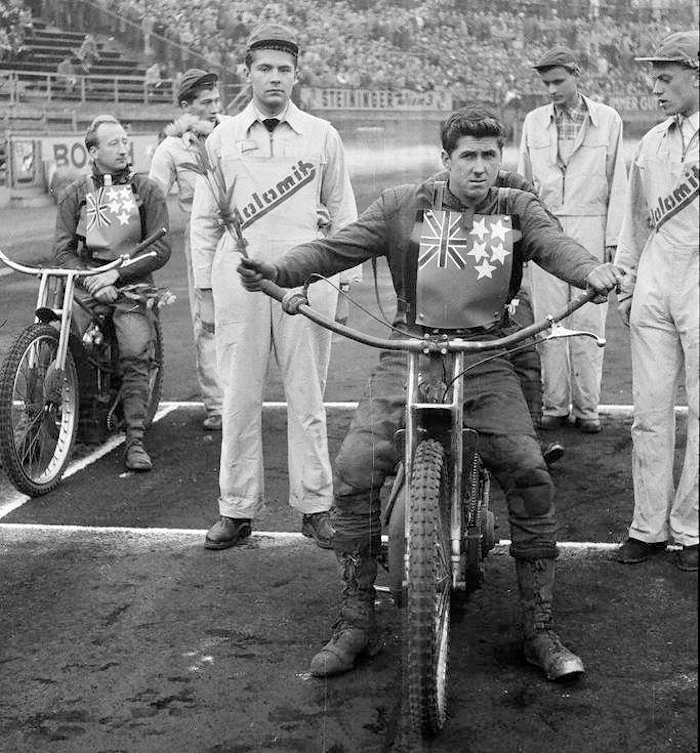 It was also easier to ride, so move over JAP, the Czech machine later to be called the JAWA was about to claim first place in world speedway and Justifiably so. 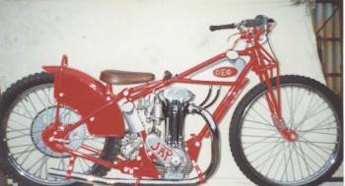 Much as I liked the JAPs they just couldn't compete with the ESO/JAWA which were cheaper, more reliable and easier to ride. Marcel Gerhard (I believe he is Swiss?) 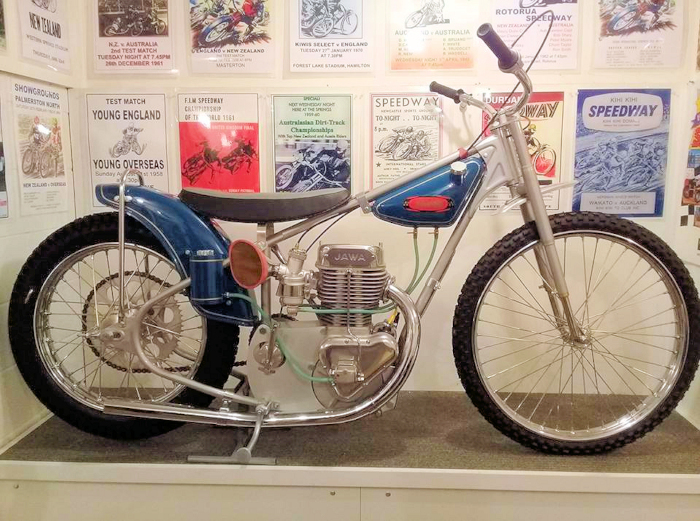 is a former speedway rider who competed in Speedway, Longtrack and Grasstrack Racing. He reached 12 Longtrack world championship finals and took the top honors in 1992. Marcel started retailing his brand new GTR engines at £3,950.00 +VAT for the 2017 season. Jawa and GM now have another serious rival. Someone needs to do a "Top Gear" type comparison between the 3 machines! Newcastle rider Ludvig Lindgren and his GP rider-brother Freddie Lindgren have the engines. 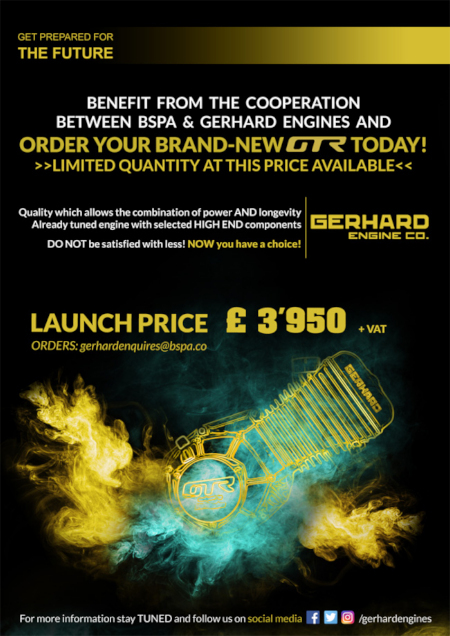 The Gerhard Engine Co. is a collaboration between speedway tuner Marcel Gerhard and Suter Racing Technology. 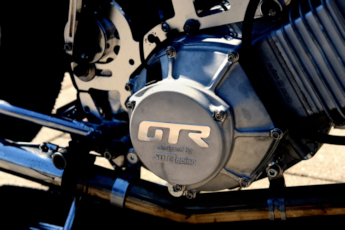 The innovative GTR Project is a complete new speedway engine concept to bring speedway into the 21th century. 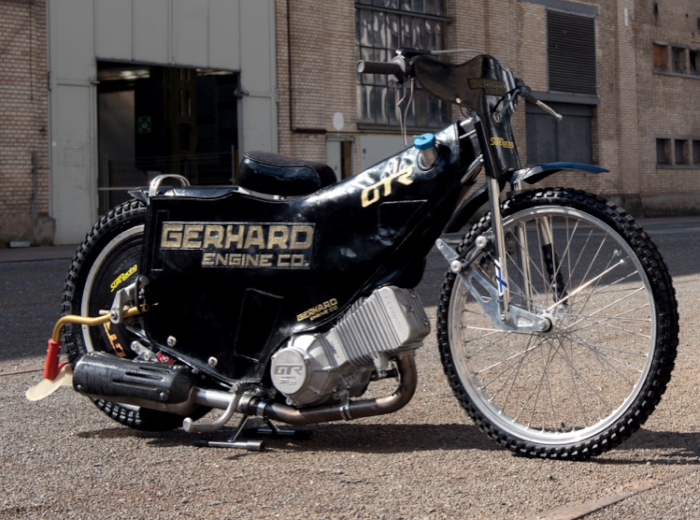 More than 30 years of speedway experience of Marcel Gerhard meets the latest technology by Suter Racing. The concept is simple: position the GTR engine as a high quality product on the market, make it “the engine to beat” in the future. 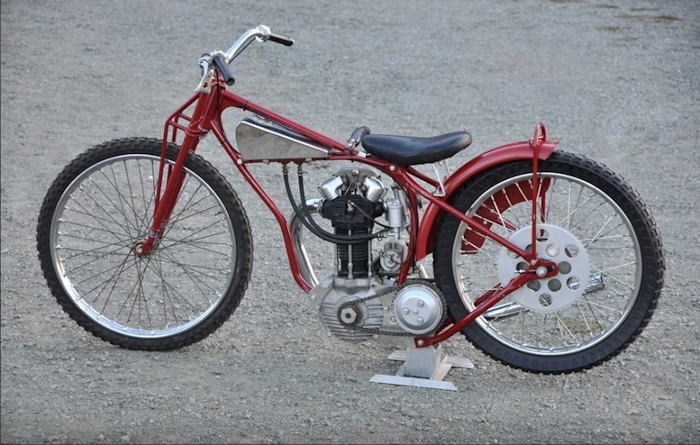 The business side of a speedway engine. 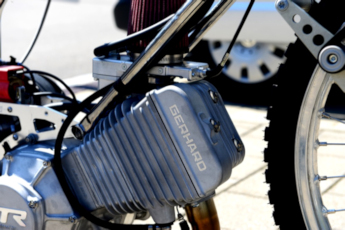 The powerful 500cc single cylinder engine turns the small engine sprocket and the primary chain transfers the energy to the Clutch sprocket which in turn drives the rear chain which ultimately turns the back wheel, this all happens in the blink of an eye. I am really impressed by the Gerhard machine although I can only look at pictures of it, but never-the-less the pictures radiate quality. Time will tell if the Suter Racing GTR can stay the pace set by GM and JAWA. I hope it does. I received the above image from Anibal one of my websites Argentinian visitors. 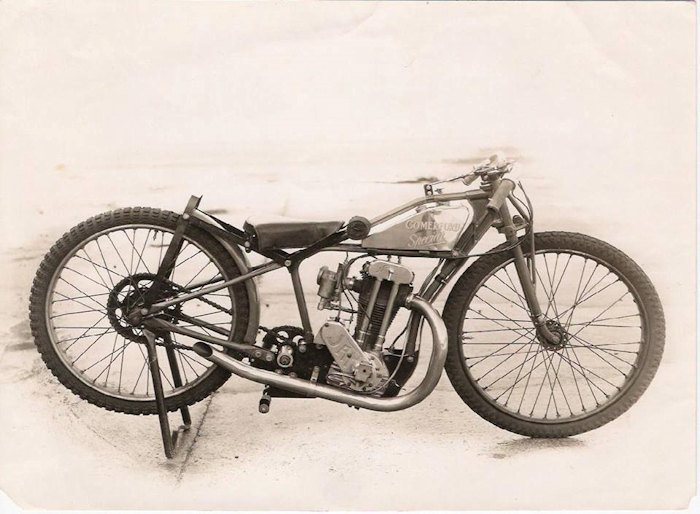 He has this photograph of a stripped down bike which he thinks could be a 1926 AJS and the photo may have been taken around 1930. 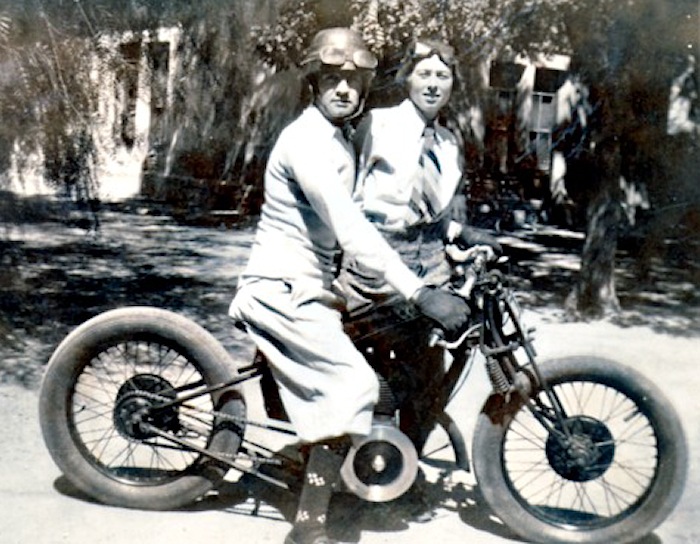 I do not recognise the large flywheel and do not think the bike is a 1920s AJS. Can anyone identify the machine? John I dread to think of the injuries the rider would get from slipping back off the saddle onto the rear wheel at speed! 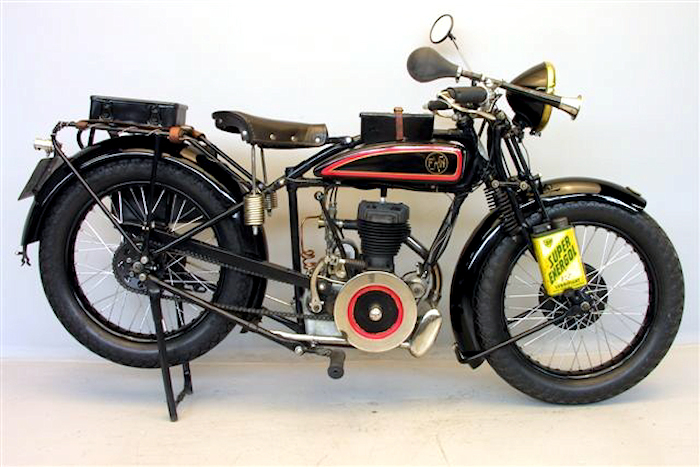 Robbie Huddleston says: It's a 1929/30 350cc FN side valve (used to have a couple of them). Rob. John says: I googled FN and discovered they were made in Belgium. 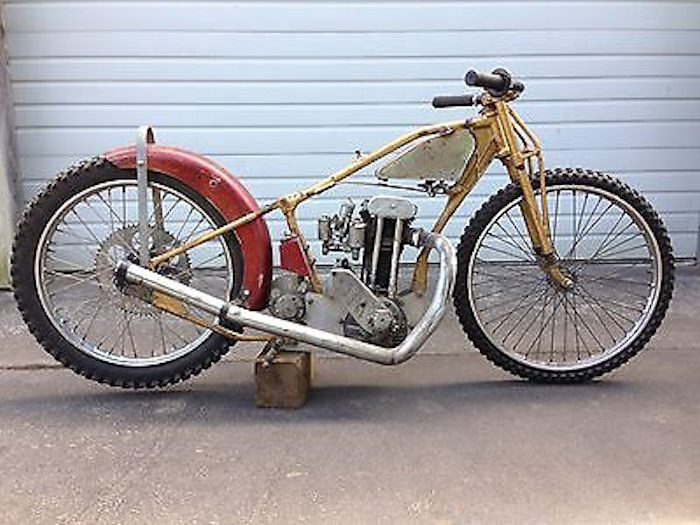 Here is a picture of what I think the bike looked like before it was stripped down by the Argentinian guy in the above picture. 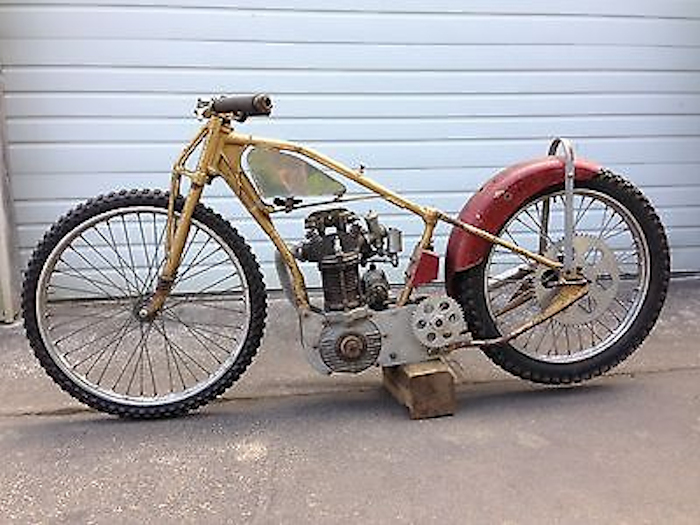 It looks like the bike had a small capacity 2 stroke engine? John says: I love old bikes but don't know anything about the Belgian FN. The bottom pic seems to be the same or similar to the stripped down machine at the top of this section. The engine looks puny! less than 500cc and is a two stroke. But in far flung areas of the world there must be people with limited resources racing any machine they can get their hands on. The contents of this website are © and should not be produced elsewhere for financial gain. The contributors to this website gave the pictures and information on that understanding. 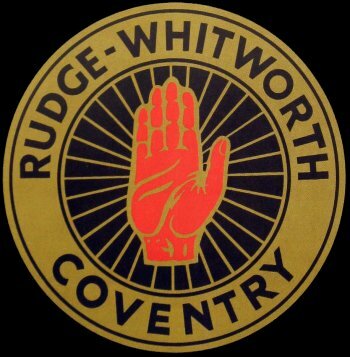 If anyone has any issue or objections to any items on my website please email me and I will amend or remove the item. Where possible credit has been given to the owner of each item.